The Chief Information and Technology Office of Ciena talks about the company's vision of "The Adaptive Network" and how that concept has progressed and been refined and refined again in light of lessons learned during a year of developing a strategy to deliver intelligent automation solutions to its customers. 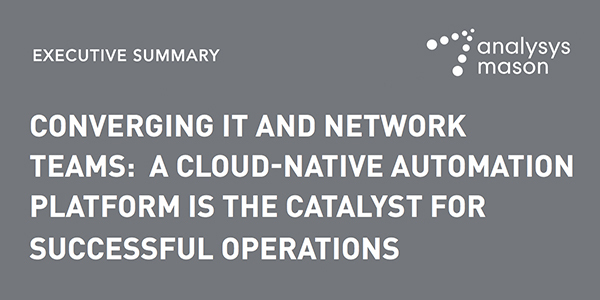 Automation is a prerequisite for CSPs as they strive to introduce zero touch operations and detect, diagnose and troubleshoot network problems in as close as possible in real time. As Adan Pope explains, frequently the way forward is to adapt an adaptation that my itself have been an earlier adaption of a network function.